Four reports are out today: Danny and Fred from ATL, as well as Ignacio and Rick from EPAC. Danny's peak intensity has been revised upward to 110 kt. No significant changes for the others. I knew Danny was probably a slight underestimate given the altitude and the 104 kt SFMR (supports 105 kt) but I wasn't really thinking it had already peaked at the time. I know operationally NHC had it at 90 kt at that time, probably admitting it was conservative. I think Patricia is definitely the most awaited of them. I think Patricia will be last. Although Olaf might be last as well due to its double-handover since the NHC will need to let the CPHC do more as it re-entered the NHC jurisdiction. Patricia should be out soon. I think landfall intensity is the big question. RL3AO wrote: Patricia should be out soon. I think landfall intensity is the big question. agreed--that one station was very interesting. Did anyone ever find out the story about that? The data it sent seemed to indicate it was broken and being dragged along the ground but after the storm passed and was gone, it seemed to be reporting normally. Incredible record at peak.Full report is at first post of thread. Incredible. I knew it was likely stronger than 175 kt. It mentions that Patricia may have passed Tip, but they couldn't give it the record as there was no Recon at 1200Z. As for comparisons to Haiyan, those are apples and oranges. Maybe Haiyan was 190 kt or more at peak? Unfortunately we will never know. As for landfall, I knew it was borderline between Cat 4 and Cat 5. It notes that it was highly uncertain. 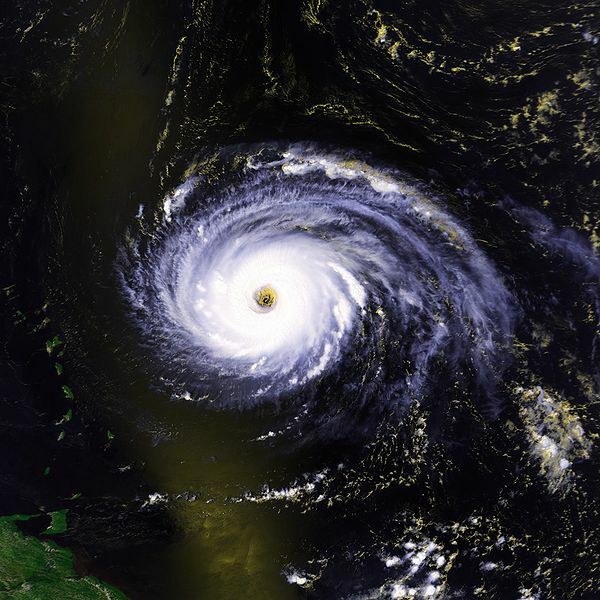 The Chamela wind observation was discarded as it was deemed unreliable, and 932mb was probably not a Cat 5. They could have probably gone anywhere between 115 kt and 145 kt for the landfall intensity. Wow crazy how this storm was very close to surpassing Tip. In the report it showed a graph of the water anomalies in the region Patricia past and it was an all time high. Didn't expect this, although both the reduction in landfall winds and increase to 185 are justifiable. 185 kt ties Nancy '61 for the highest winds in any best track winds, and 872 mb is two man off from tying Tip, putting Patricia comfortably in second place in best track pressure. Pretty remarkable storm. I was able to visit NHC last week and the guy writing it told me there were a couple of surprises. He was not kidding. 872 mb is amazing. For all we know, Tip may have indeed fallen and Patricia may have gone into the 860s. At 0510Z, the pressure was 892. By 0555Z it had fallen to 886 and by about 0645Z it fell to 880 - a drop of 12 mb in just over 90 minutes. If that trend is maintained to 1200Z, the minimum pressure would be an absolutely insane 853mb. That is probably unrealistic, but somewhere in the high 860s is not unreasonable. Unfortunately, the data is not conclusive enough to support such. did not expect the landfall downgrade but if the station was unreliable, I can accept that! The posts in this forum are NOT official forecast and should not be used as such. They are just the opinion of the poster and may or may not be backed by sound meteorological data. Patricia is almost on par with Super Typhoon Tip in terms of central pressure. 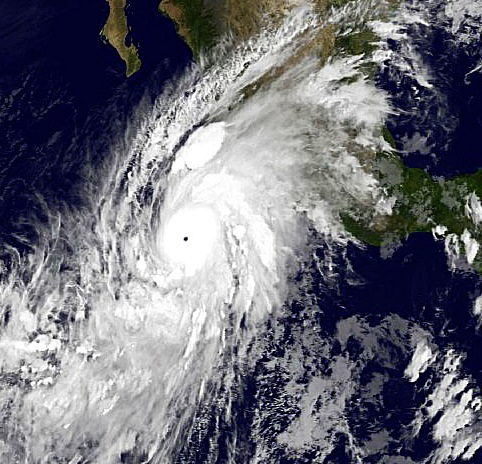 Tip had 190 mph winds, while Patricia had 215 mph winds. Tip was much larger than Patricia.